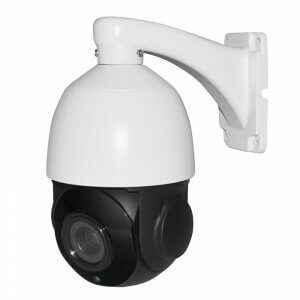 The PTZ Dome Camera is designed for providing maximum security and safety over a large open area. 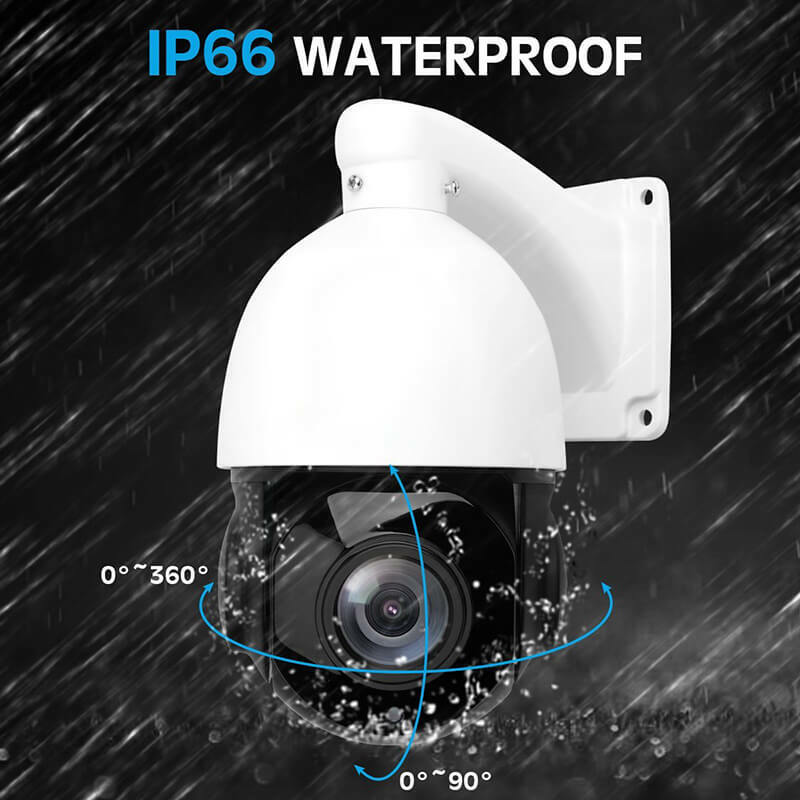 Thanks to the ability to turn completely around and tilt through 90 degrees it can do the job of several cameras all by itself. This PTZ camera can be programmed with up to 220 preset positions and there are 3 automated guard tours that can be set up as well. 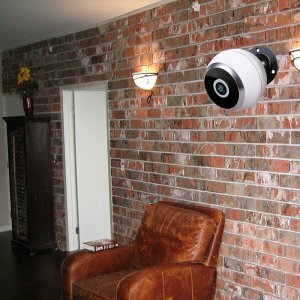 This means the camera can automatically cycle through set angles to provide expert coverage of different areas. 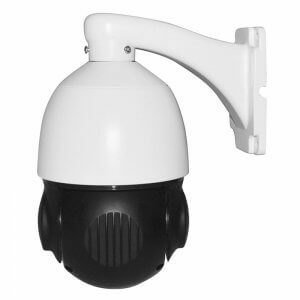 The rapid rotation and tilt speeds mean that it can’t be caught out and can be quickly repositioned to capture any action as it unfolds. 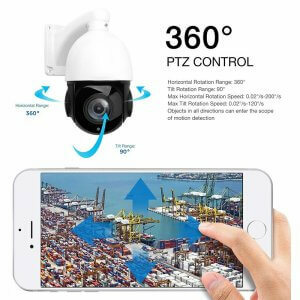 A 1/3 Inch 5MP OV4689 CMOS sensor captures high definition images and the 20 times optical zoom means it can get close up shots of people dozens of meters away. Ideal for taking note of registration plates, perpetrators features or interactions between conspirators. 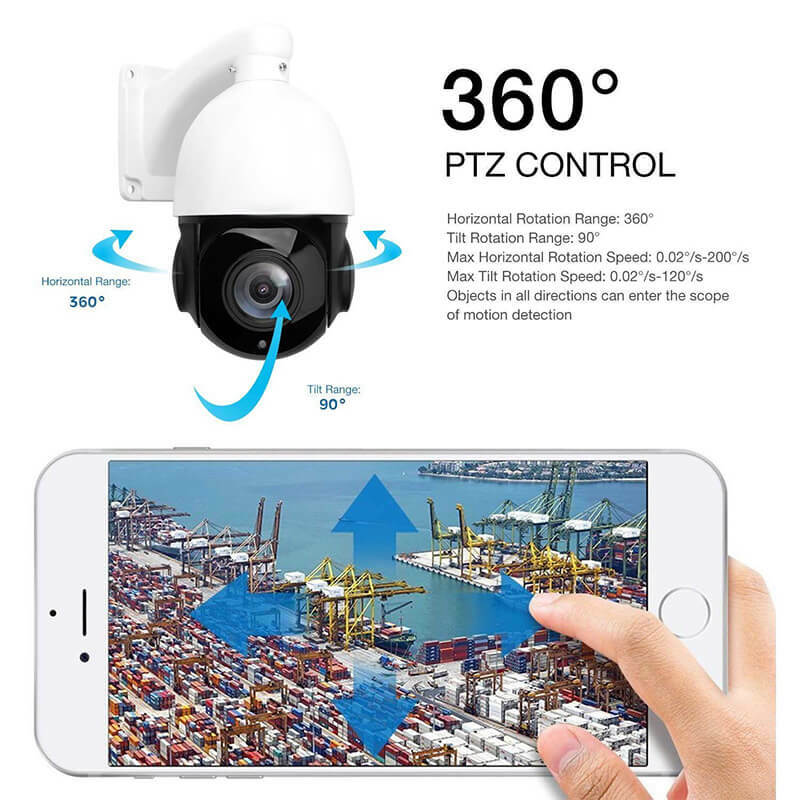 As well as have a programmable surveillance path the camera can be controlled and the feed viewed remotely via a computer or smartphone app available for iOS and Android devices. 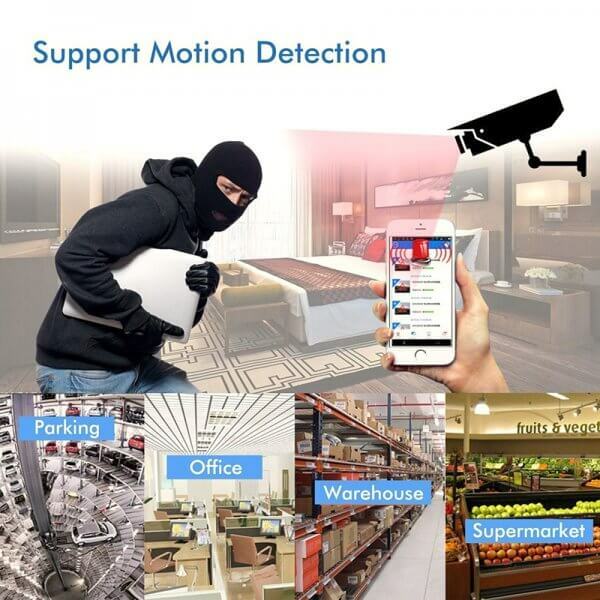 With the ability to have 3 remote visitors at once multiple people or surveillance teams can monitor the feed simultaneously from different locations on different devices. 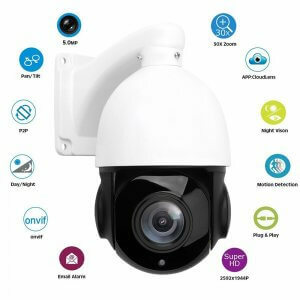 This dome camera is suitable for both indoor and outdoor use as it comes with a tough robust build and IP66 rating so it is sealed and protected from the wet and rainy weather. 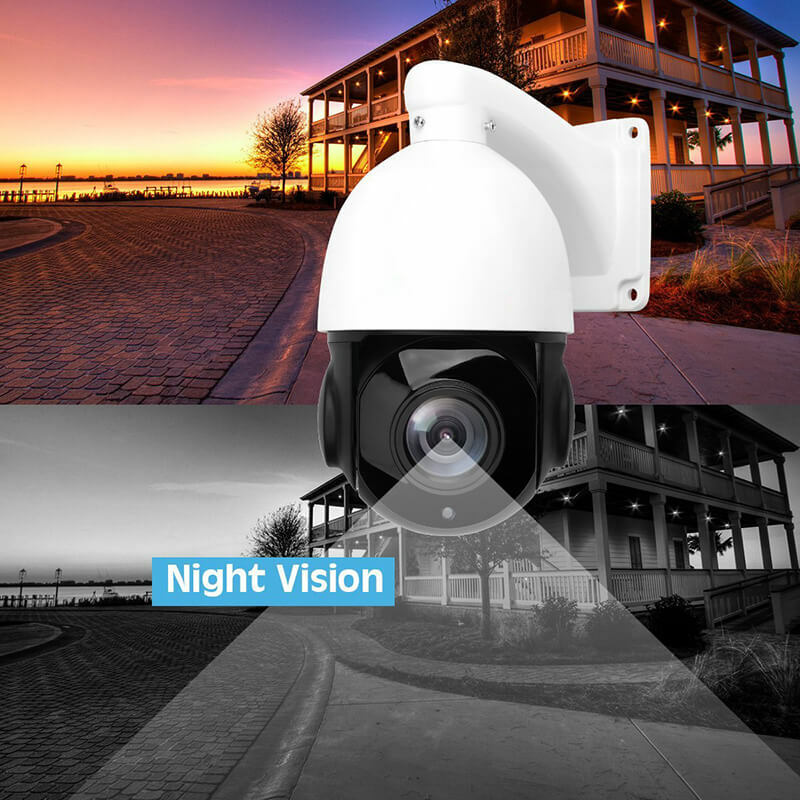 Furthermore, it provides 24×7 surveillance thanks to a powerful night vision IR array. This means it can pick out details even in low light up to 60 meters away, with the IR cut this security camera will automatically switch to IT night mode when the ambient lighting drops sufficiently. Complying with the ONVIF 2.4 protocol brings reassurance that this network security camera will work with most other major cameras and security set ups so you can integrate it into your existing system or add to your security setup in the future when it’s time to expand. 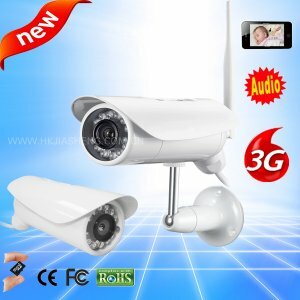 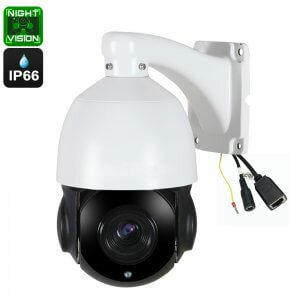 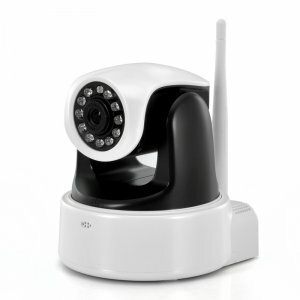 It offers great IR night vision of up to 60 meters great for 24×7 security.